We love the simple flavor of this buttery, lemony rice that goes well with fish or chicken. Dovetailing Tip: Double the ingredients so you will have 2 cups of prepared rice to save and use for Meal 4, Easy Coconut Curry. 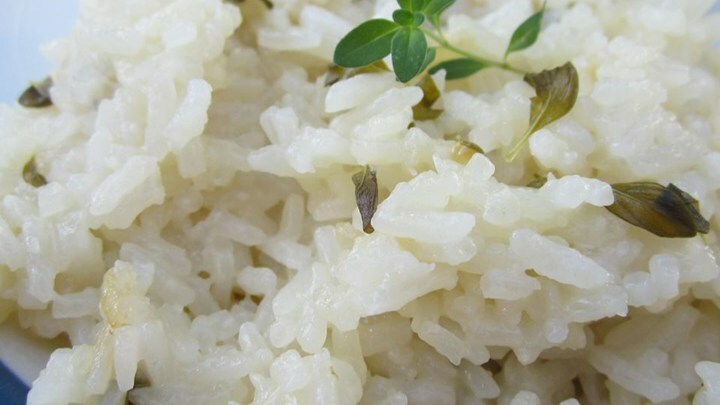 Melt butter in a medium saucepan over medium-high heat, and stir in the rice. Cook rice, stirring frequently, until browned, about 5 minutes. Mix chicken broth, lemon juice and thyme into the rice. Cover, and reduce heat to low. Cook 20 minutes, until liquid has been absorbed. Fluff with a fork before serving.